Country Walk, a charming community tucked away off of State Road 207, yet a short commute from Interstate 95. Within this neighborhood is a beautiful, meticulously maintained home situated on a preserve lot awaiting a new family. This split-level, 4 bedroom, 2 bath home has upgrades galore! It offers the cooking enthusiast a gourmet kitchen with granite counter tops, a double wall oven, 42'' cabinets, large pantry and plenty of room in the breakfast area to serve up their favorite dishes.The spacious open formal dining area and family room is perfect for those special occasions, entertaining family & friends. The impressive master suite includes a step tray ceiling, walk-in closets, double vanities, a separate shower and garden tub.Many extra features include Low-E vinyl windows, custom screen/glass enclosed lanai, separate irrigation well with pump enclosure,security system, transferable termite bond, a Master Protection Agreement for major appliances thru 2/14/19, partial side and front gutter system and much more. 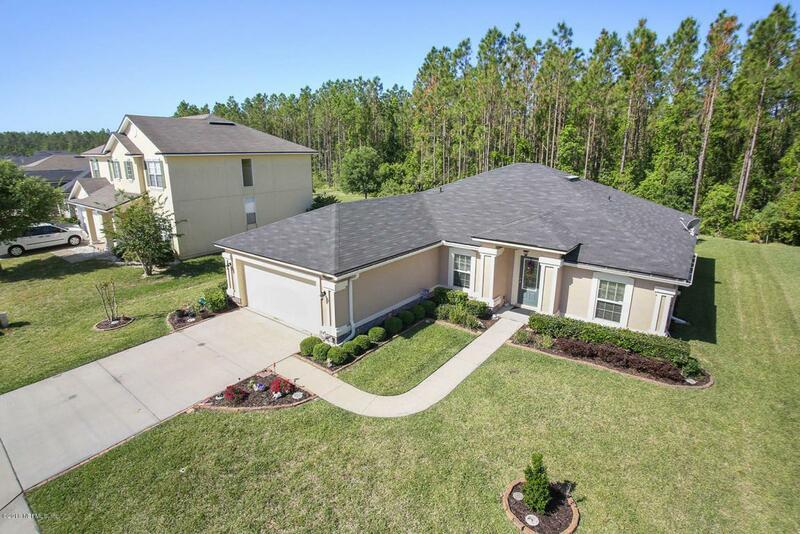 Low HOA fee and no CDD here! Schedule your appointment today, you do not want to miss out on this one and the opportunity to live in a top-rated school district.